One million paying members by April 2019–that’s the ambitious plan from The Guardian. 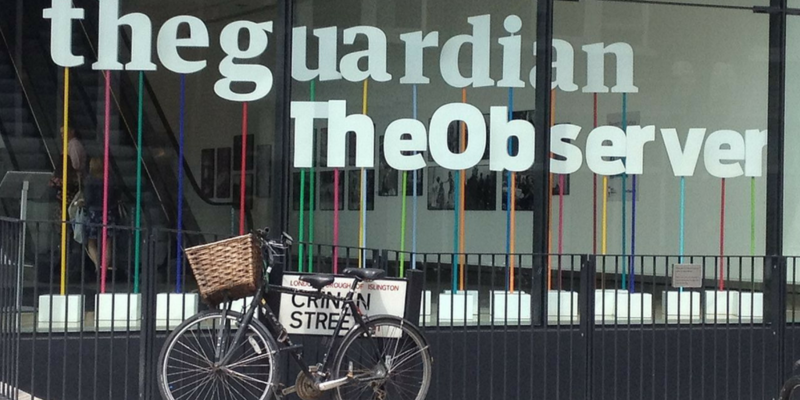 The perennial question of how to fund quality journalism has seen a few new answers in recent memory, with membership programs as one potentially successful solution.The Guardian hopes to tap into this, with their membership plan as a core component of their goal to more than double revenue generated from readers to £68 million. Launched in 2014, The Guardian’s membership program has three tiers: Supporters (£5/month), Partners (£15/month), and Patrons (£60/month), with the majority of new sign-ups in the supporters tier. There is also the ‘friend’ tier in the membership program, a free membership that gives readers regular updates from the community and the ability to buy tickets to Guardian events. They now count more than 500,000 paying members. While they have not released revenue numbers, this is at a minimum £2.5 million in revenue per month. To achieve their formidable target, The Guardian has 50 employees working on membership, whether in a data, developer, marketing, user experience or journalism capacity. They’ve tested different messaging to drive sign-ups, learning that while messaging focusing on their history works to encourage one-off donations, it did not encourage sign-ups. Instead switching to messaging highlighting the cost of creating quality journalism has better grown their membership program. The location of the message was also tested, including ad placements, at the bottom of articles, and pop-ups shown to visitors with ad blockers switched on, the latter of which was was particularly effective. While social media was also used to promote the membership program, it was not as effective as The Guardian’s own properties. Three major news periods also saw a spike in memberships: the Brexit vote, the election of President Trump, and the release of the Panama Papers. With the release of the Paradise Papers this week, undoubtedly another spike in memberships will be seen. To further encourage this, The Guardian is focusing on building deeper relationships with its most loyal readers, including expanding coverage of underreported stories. One way they are determining which stories are underreported is through data showing what stories people were reading right before signing up to become a member. The data shows that one effective topic is the environment and climate change, so The Guardian will increase their editorial efforts on this topic. Membership programs offer more than just additional revenue, including better insights into who their readers are, reduced churn, and helping to build a community amongst readers and writers. The latter benefit can be seen in one initiative that has come out of the membership department so far: the monthly podcast “We Need to Talk About”. This podcast features member-submitted questions answered by Guardian journalists on big news issues, as well as topics that members have asked for more coverage on. They even sometimes call the member who asked the question to involve them in the discussion. While it took The Guardian three years to reach the first 500,000 paying members, they will need to reach the second 500,000 in half the time in order to achieve their goal of one million paying members by April 2019. With the added insight each new member brings regarding what triggers a sign-up and the growing sense of community in the increasing pool of members, this target may well be in reach. This entry was posted in Industry news and tagged Membership programs, Paid Content, Reader Engagement, subscriptions, The Guardian. Bookmark the permalink.